Keep your joints healthy with these superfoods. Your joints help you to do the things you love. Whenever you move, your joints help to facilitate the movement. From walking to extreme sports, healthy joints are a vital aspect of your quality of life. As you age, wear and tear on your joints catches up to you. As bones start to impact each other, they become inflamed and painful. Slow joint disease and improve your joint health with these superfoods. Check out which foods can help you to improve your joint health. Add more oranges, grapefruits, and lemons to your life. 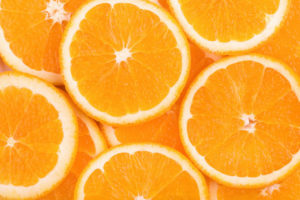 When it comes you’re your joint health, a healthy dose of vitamin C can help to reduce inflammation in your joints. Plus, citrus has high levels of collagen which can help your body to protect its joints. Healthy bones contribute to making healthy joints. Stock up on your calcium and maybe even a bit of vitamin D and drink more milk. It will help to keep your bones strong so that your joints are better able to withstand pressure and movement. Eating salmon and other foods rich in omega-3 fatty acids, like tree nuts and other types of fatty fish, can help to reduce the inflammation in your joints. Additionally, these types of food are rich in protein, which can help to build strong muscles. The stronger your muscles, the more they can help to protect your joints and alleviate pain. Add more spice to your life. Spices like ginger and turmeric have anti-inflammatory properties that can help reduce joint inflammation. Incorporate more spice into your life for healthier joints. When it comes to your joints, eat the right foods to keep them healthy. Protect your health and your lifestyle with the right insurance. Contact the professionals at Robert J. Los Insurance Agency to find you the right insurance. Located in Hamburg, New York, we serve all your personal and commercial insurance needs.